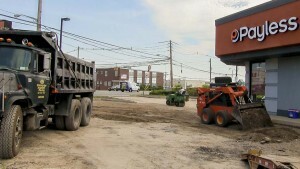 At Enterprise Asphalt Paving we make it easy to replace or create a new parking lot on your property. 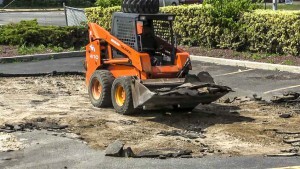 We remove both existing organic materials such as grass, weeds, or brush and any damaged materials, such as old concrete or asphalt currently in the way of the parking lot extension. All excavated materials are trucked to a recycling center. We follow green construction guidelines. We then re-grade the land to create a pitch for rainwater runoff. The RCA Stone Blend Base is installed to specification as a foundation for the asphalt. 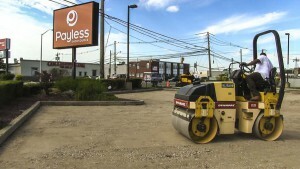 The base is then compacted with a vibratory power roller to create a strong durable structure for the new asphalt surface. 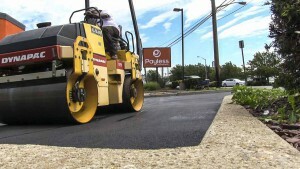 A new wearing course is installed with hot asphalt. This is done to comply with New York State mix specifications and placed at an average temperature of 300° F. A mechanical paver machine installs this new surface. 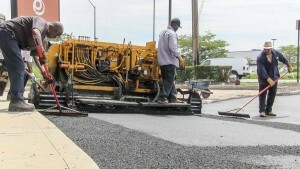 The hot asphalt is then compacted by a vibratory power roller. This process is used in order to achieve the most density.